and ride it to the moon!!! Bitcoin Kiosks provide consumers with the fastest way to buy Bitcoin. 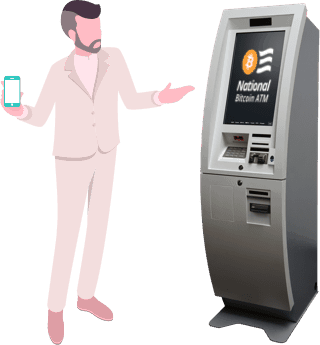 We have a nationwide network of Bitcoin kiosks and the longest tenured experience in the space. Serving the cryptocurrency community since 2014! The absolute best way to promote the adoption of cryptocurrency is by developing reliable, value-add infrastructure. 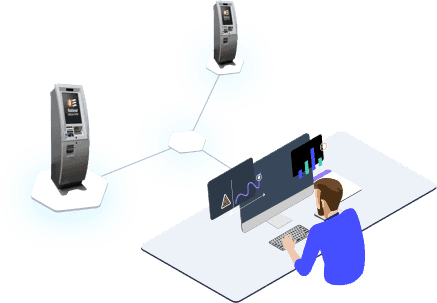 Owning your own bitcoin ATM affords you the opportunity of participating in the development of the blockchain ecosystem while generating a profit along the way. Complete a short application to help us learn more about our future partner: YOU! Place an order for up to 10 machines and select your locations from our list of businesses that are ready to host. Typical roll-out time is 45-60 days. We meant it when we said we handle everything! Sit back, relax, and collect residual checks while we manage your network. Since 2014, we've been expanding our network of Bitcoin ATMs and making bitcoin accessible for the masses. 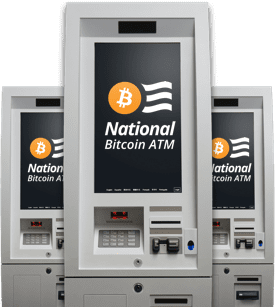 Find a National Bitcoin ATM near you today! Connect with one of our kiosk partnership representatives today to learn more about building your Bitcoin ATM network! 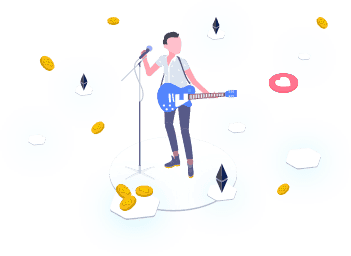 The blockchain ecosystem is expanding quickly - Join Us Today!